Giro previewed an intriguing new line of cycling clothing on Thursday at the Golden Saddle Cyclery in downtown Los Angeles. Dubbed 'New Road,’ the retro-inspired collection is neither street wear nor performance kit but somewhere in between. Whether or not that market actually exists remains to be seen, but we will find out once New Road becomes available in the spring. New Road’s styling is undeniably from days gone by with heather-finish Merino wool fabrics, subdued colors, and trim (but not tight) tailoring featured heavily throughout the roughly dozen-piece range, which includes a mix of long-sleeved and short-sleeved tops, shorts, short liners and outerwear. There's even a collared polo that would look at home on a long commute or stopping into a café along the way. There is also a pair of SPD-compatible lace-up shoes. While the aesthetic is casual, Giro designed the pieces with real riding in mind. Road riders seem to be the primary audience, although mountain bikers might find some appeal, too. The outer shorts are built with multiple bike-friendly pockets, the tops feature cleverly hidden vents atop the shoulders, the windproof shirt closes with a zipper and buttons to retain the desired styling but still keep the cold breeze out, offset zippers on the outerwear keep the cold metal pulls way from your chin, and the short liners are built with a proven Cytech stretch chamois. There isn't a smidgeon of cotton to be found, either, and some of the pieces are built with subtly stretchy fabrics for freer motion. How the pieces look to work together is interesting, too. For example, several of the tops omit rear pockets. Instead, there's a zippered rear opening that allows access to the pockets that are built into the back of the bib liners, which also have front flies to facilitate nature breaks (both features remind us somewhat of the approach that Dirtbaggiestakes with its mountain bike shorts). We won't have pricing or specific details on the individual pieces until closer to launch date but if nothing else, Giro deserves some kudos for taking a risk on an unconventional approach to cycling clothing. Impressively, all but a few of the pieces we saw at the preview event sported "Made in the USA" tags, too. We're enjoying an unbelievably rich and diverse period of mountain-bike design these days, with competent choices from enduro rigs to 29er trail bikes to short-travel slopestyle machines and more. A few are built for racing, but many styles are built for what real-world riders do every day. When it comes to road riding, however, the choices are basically race bikes, or... slight variations on race bikes. This is dumb. The mountain bike market is no longer driven by cross-country racing like it was just a few short years ago. Likewise, the prototypical 'mountain bike' is no longer a lightweight hardtail built for shaving seconds off of the day's big climb. That being said, even the most specialized cross-country racing equipment - tubular tires included - are perfect given the right application. If you're not competing, though, race bikes aren't always the best tool for the job, and it hasn't taken long for the average mountain biker to recognize that. Take a look at your current mountain bike right now. What kind is it and what goes through your mind when you ride it? Are you thinking of channeling your inner Nino Schurter and besting a PR around a prescribed course or are you simply out having a good time? Now take a look at your current road bike and think about the type of riding it's really designed to do. If your mountain bike is aimed more at fun and versatility, why is it then that most of us still riding road bikes that are purpose-built for racing? Why are so many of us so singularly focused on some imaginary finish line? 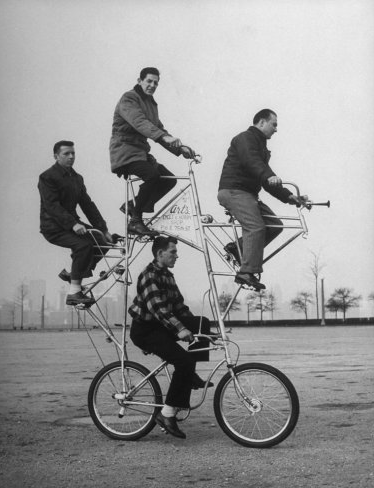 For decades, cyclists bickered amongst themselves about the efficacy and safety of bike infrastructure. With the proliferation of protected bike lanes in recent years, however, everyone can see that predictions about bike lanes making streets more dangerous for cycling simply didn’t come to pass. Network blogger Elly Blue at Taking the Lane says the debate has been settled. In 2007, New York City added protected bike lanes, also known as “cycle tracks” to two previously car-centric one-way arterials in Manhattan, 8th and 9th Avenues. (This short movie explains more.) These lanes—basically, regular bike lanes with a physical barrier (often parked cars) and special signals at intersections in order to separate people on bikes from people driving and walking—were controversial before and after construction, with lots of dithering and yammering about how they would hurt business and freight, cause crashes, hold up traffic, and waste time and money. First, on safety: True to form, this bike infrastructure did more than make cycling safer: The study found a 35% decrease in traffic crash related injuries to all street users on the 8th Ave path, and a whopping 58% on its 9th Ave counterpart. Meanwhile, retail sales income in locally-based businesses along the 9th Ave lane went up as much as 50%. Yep, half again what they were before 2007. And this was during a recession. In the same period, borough-wide retail sales only increased 3%. The real debate should not be about whether or not to invest in bike infrastructure, but about how your city can create the most, the fastest. It’s time for us to move on. If your city’s leaders don’t get this, it’s time for them to move on too. Elsewhere on the Network today: Boston Biker reports that the MBTA triumphed in this year’s Bean Town “Rush Hour Race” pitting a cyclist, a driver, a runner, an in-line skater, and a transit rider against each other in a content to see who could get to work fastest. Extraordinary Observations says the problem with Washington’s well-designed, center-running Pennsylvania Avenue bike lane is that nobody follows the rules. And People for Bikes reports that Chicago’s new protected bike lanes are a hit with business owners. Starting on June 1, the Amtrak Pacific Surfliner service connecting San Luis Obispo to San Diego by way of Los Angeles is adopting a new policy that will make life harder for anyone planning on biking to or from the train. The policy is so onerous for bicycle commuters, one has to assume it’s intentional. Click on the image to see their current rider brochure for the Surfliner. The new bicycle policy is after the timetable at the bottom of page 2. For any Surfliner rider who uses a bicycle to connect to the train this new policy will add $1250 a year in costs (one-way travel on Amtrak, 5 days a week, 50 weeks a year), in addition to the time and hassle of making reservations for every Amtrak trip. The Streetsblog reader who pointed this out is already making commuter accomodations that don’t include riding Amtrak services. It was a Friday evening in June when John Lindenmayer left the League of Michigan Bicyclists' (LMB) office in Lansing, MI and rode his bicycle to the City Market. Around 6:30 p.m., he left to head home, utilizing the same route he had ridden dozens of times before. Traffic was light on Michigan Avenue, a five-lane road, which runs from the front steps of the State Capitol right past Michigan State University. John traveled eastbound in the far right (curb) lane for several blocks, without incident. Then, only blocks from home, he heard a honk imme¬diately behind him, followed by a siren. John turned to find a police car with its lights on. He promptly pulled over and parked his bike. John was confronted by a City of Lansing police officer who was professional and polite, but told him, "The roadways are made for motor vehicles, and you can ride your bike on it, but you're impeding traffic." As the Advocacy and Policy Director for LMB, John knew that arguing was going to get him nowhere. Instead, he calmly explained that Michigan law allowed bicyclists to be on the road and that he was not violating the law. Amazingly, stating that "we can handle this a different way," the officer called for backup. Within minutes three additional police officers, including a Sergeant, arrived at the scene. Ironically, the entire eastbound travel lane, the same lane John was traveling in, was entirely blocked by the police. During the 30-minute traffic stop, John documented the situation by taking notes, photos, and video with his phone. Ultimately, John was issued a ticket for "impeding traffic." Most cyclists would have paid the $115 fine that accompanied the civil infraction, deciding it simply wasn't worth the time and effort to fight it. John, however, was different. While he didn't leave his office that day looking to prove a point, it was now a matter of principle. He was de¬termined to prove that he did not violate the law and to stand up for cyclists' legal right to use Michigan's roads. Bike sharing is a sustainable, healthy and innovative community-based transportation program providing ideal short distance, point-to-point, and simple-to-use bikes for use around the city. 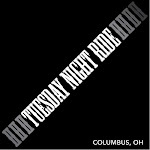 With established systems in Washington, DC, Boston, MA, Melbourne, Australia and New York City, Alta Bicycle Share will be introducing this community-based transport option that enhances urban livability and mobility to Columbus in summer 2013. The program allows for users to access bikes at multiple self-serve locations and return the bike to any other available station in the system. As a company our responsibilities include: marketing and membership sales, station and bike repair and maintenance, station redeployment and reporting on system and operational performance. We are currently seeking a hands-on, highly organized and motivated Lead Bicycle Mechanic skilled at the art of bicycle repair and passionate about the potential for bike share to transform Columbus' urban transportation landscape. Alta Bicycle Share is a drug-free workplace and an equal opportunity employer. The program allows for users to access bikes at multiple self-serve locations and return the bike to any other avaliable station in the system. As a company our responsibilities include: marketing and membership sales, station and bike repair and maintenance, station redeployment and reporting on system and operational performance. The administrative assistant is a versatile position, working with the Project Director, Operations Manager and other department heads to ensure successful operation of CoGo Bike Share. The responsibilities and basic duties of this position may be subject to change as the program continues to grow and evolve. In another show of intercity solidarity, more than 32,000 riders were expected in New York City on Sunday for the Five Boro Bike Tour to help raise money for the Boston Marathon bombing victims. Security at the tour, the largest cycling event in America, was increased in the wake of the bombings. Backpacks, saddle bags and hydration systems were banned from the 40 mile, car-free ride through the five boroughs, though water bottles and fanny packs were permitted. The finishing area on Staten Island was also limited to the tour's participants and volunteers, due to the enhanced security. And according to CBSNewYork.com, organizers called off the pyrotechnics that usually mark the start of the race. "I Ride For Boston" stickers worn by the tour riders were handed out in exchange for a suggested $5 donation, with 100 percent of the proceeds from their sale going to One Fund Boston, the charity launched after the attack. Ken Podziba, president and CEO of Bike New York, said the response "from our heavy-hearted riders who want to be able to express their solidarity with Boston" was "overwhelming." The organization produced more than 32,000 "I Ride For Boston" stickers—or one for every rider. “New Yorkers will never forget the generous support we’ve received from around the world during our city’s toughest times, and we never hesitate to repay that generosity when the need arises,” New York City Mayor Michael Bloomberg said at a press conference ahead of Sunday's event. On April 16, a day after the terror attack, the New York Yankees played Neil Diamond's "Sweet Caroline," a tradition at Boston's Fenway Park, over the loudspeakers at Yankee Stadium in honor of the marathon bombing victims. Meanwhile, investigators continue to search various sites around Dartmouth, Mass., near where Boston Marathon bombing suspect Dzhokhar Tsarnaev went to college as authorities continue to look for evidence related to the attack. Last week, federal officials told the New York Times and NBC News that Tsarnaev said he and his brother Tamerlan, who was killed during a gunbattle with police on April 19, originally had planned to carry out their attack on July 4. But the bombings allegedly were moved up because the brothers completed building their explosives ahead of time. 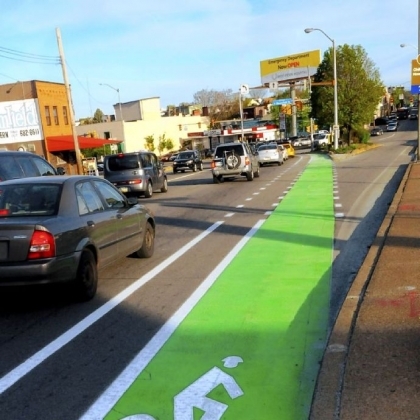 Pittsburgh has joined a growing list of cities using bright green paint to make on-street bike lanes more visible. The city last week painted about 200 feet of the bike lanes on Liberty Avenue at the approaches to the Bloomfield Bridge, with the help of a $23,000 grant from Bikes Belong, a national organization of bicycle suppliers and retailers. "That's our first green bike lane," said Stephen Patchan, the city's bike-pedestrian coordinator, who said the location was selected because of the large numbers of vehicles that make turns across the bike lanes. "It's a material that is slip-resistant, and it will last longer" than the paint used for road striping, he said. Other cities, including Philadelphia, have used green paint to mark bike lanes, and the Federal Highway Administration, or FHWA, has given interim approval for its use in areas where bicyclists and traffic have conflicting movements. Peter Hochstein has seen it all while bicycle touring in New England, and he continues to reflect on his experiences on his free time. While Hochstein isn't a frequent cyclist anymore, he's ready and willing to share his insight with CycloCamping and other people who are interested in seeing the world from their bicycles. Q. What has been the most memorable bike tour for you? A. It was that BAM (Bicycle Across Massachusetts) ride that I did back in 1991. This was the first multi-day ride I had ever done. I was already 51 years old, and darn proud of making it to my destination at the end of each day. Past that, there's a certain road camaraderie that develops over time when you do a group ride. You're all in this together. You're sharing common and sometimes difficult experiences. You're sharing meals together. You're swapping yarns. It all adds up to a bonding experience, sometimes with people very different from yourself, other than your common interest in cycling. Q. How do you pace yourself as an older, more experienced cyclist while riding alongside others? A. Alas, I don't ride "alongside" much any more because I'm slowing down. A now-decades-dead cyclist once taught me that you can keep going all day as long as you're going a mile or two an hour slower than you know you could go for a short while. That's the trick. Don't burn yourself out. Don't charge hills. (At my age, I even walk some). Take it slow and steady. But that means I won't be keeping up with the pack, and there's no point in ruining their ride by making them wait for me. Often, I'll try to get hold of the cue sheet in advance. I explain to the ride leader that I know my way, can't keep up, but with his or her permission I will try to get to the lunch destination and join the group there. Then I start out earlier and sometimes take shortcuts that are off the route. It's not wonderful. It gets a bit lonely here and there. But it sure as hell beats a rocking chair. Or a wheel chair. And I usually do get to have lunch with the pack. But this applies only on day rides. For tours the situation is tougher. You can go solo, living like a rolling hermit. Or you can try to find like-minded geezers who aren't too cranky to spend several days and nights with. Good luck on that latter one. Concept bikes offer a fun way to re-imagine how bikes of the future might look like. The Ford Citi Bike, designed by Jimena Compean, Isabel Ayala and Jose Arturo Moreno, anticipates more and more people taking bikes to work, rather than driving, thanks to rising fuel costs and increasing traffic congestion in metropolitan areas. Inspired by Ford's 2013 Focus ST, the Citi Bike features a low riding profile, allowing easier handling for inexperienced riders, or those who aren't outfitted to fling their legs over a high top bar (primly-dressed office ladies rejoice!). There are places to hold the requisite office gadgets like laptops and iPads apparently, and according to Yanko Design, the bike's mechanism "consists in gears, and dented bands for traction, and torsion bars for steering."